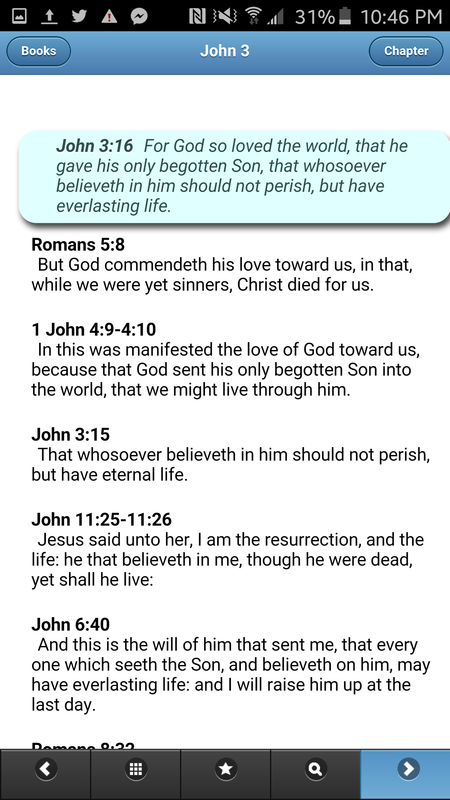 VerseVIEW Mobile Bible is a simple and easy to use application containing the Holy Bible in 5 different languages (English, Malayalam, Hindi, Tamil and Telugu). The users can read up to 3 Bible translations at a time. Each verse can be bookmarked and notes can be added to each verse. Also a reference search feature fins the verse given a reference. The navigation allows quickly switching books or chapters. 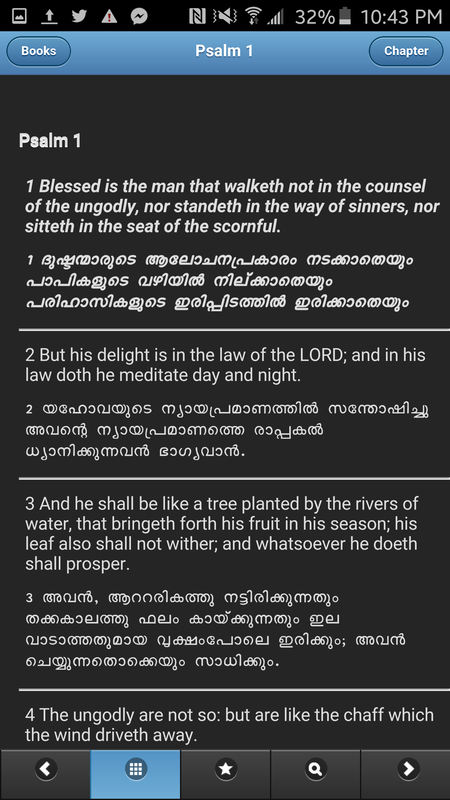 VerseVIEW Malayalam Songbook is a simple and easy to use application containing a collection of over 1100 Christian song lyrics in Malayalam and Hindi language spoken in India. Song lyrics can be searched, browsed and bookmarked easily. This application replaces printed songbook and users benefits from readily having the lyrics. Choir members can bookmark and easily access the lyrics during church choir service thus avoiding printing the lyrics each time. What is VerseVIEW Song Book? VerseVIEW Songbook is an addition to the VerseVIEW software family to bring a collection of Christian song lyrics to the mobile platforms. Please provide your comments and suggestions. 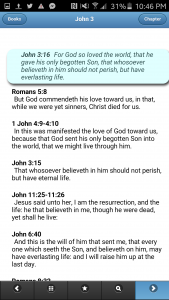 What is VerseVIEW Mobile Bible? 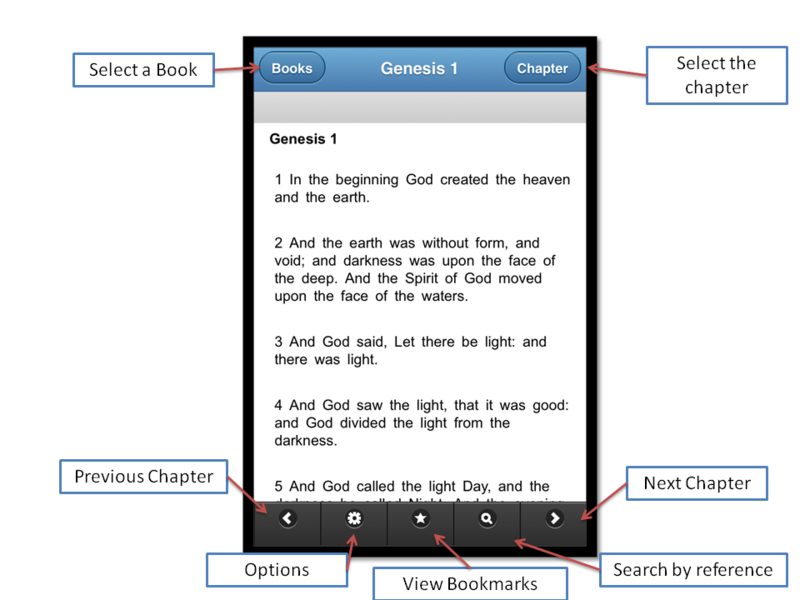 VerseVIEW Mobile Bible is an addition to the VerseVIEW software family to bring Bible to the mobile platforms. Currently it supports English (KJV), Malayalam, Hindi, Tamil, Telugu, Gujarati, Kannada, Bengali, Marathi, Punjabi, Chinese, Arabic, Tagalog and Spanish translations from Bible Society of India. 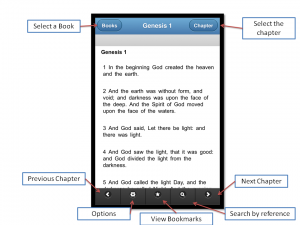 What are the features of VerseVIEW Mobile Bible?